In case you hadn’t noticed on my Instagram – I’m having a moment with the classic jumpsuit this summer. Jumpsuits are one of my favourite things to wear (apart from the obvious bathroom struggles). They can easily go from day to evening and can be accessorised for most occasions. Change your shoes from sandals to heels and you have an outfit that takes you from coffee to cocktails. For a flattering look for a special event – pick a jumpsuit that is fitted at the waist, with full length wide legs. This will elongate your body and give a dose of instant chic. 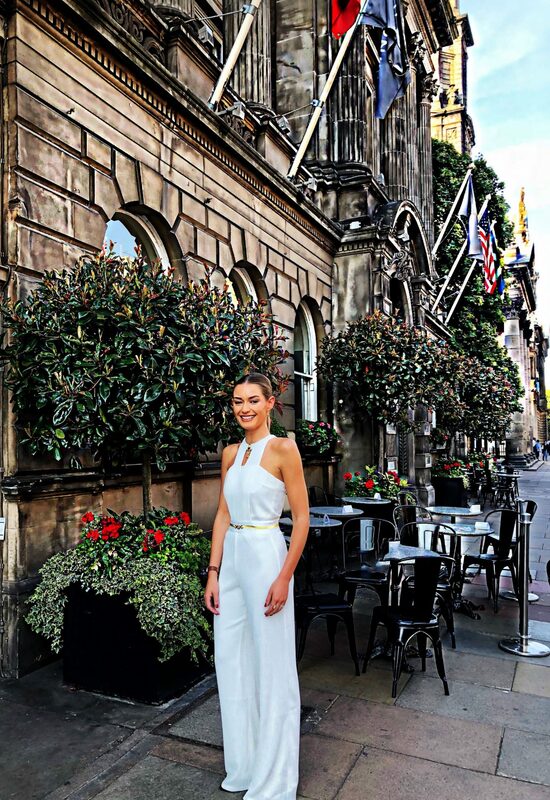 I wore this jumpsuit recently to a beautiful event at the Principal George Street. For an easy day-to-night look, I love a slouchy jumpsuit that can be cinched in at the waist with a belt to add shape and femininity for a night out. This is what I do with this little number I picked up in Bali – I wear it slouchy with a leather jacket and sandals during the day, and switch it up with a belt and heels for the evening. I love a statement print jumpsuit with a pop of bold colour in the accessories for an injection of fun, this one from Nobody’s Child is perfect! I love this stripey jumpsuit from Warehouse. It’s one of those jumpsuits you can wear on so many occasions, in the city, on the beach and on a night out. All you need to do is accessorise to the occasion – I would go for a pop of red. This wide leg jumpsuit of dreams is the perfect summer jumpsuit for your summer Sunday brunches. I love the relaxed feel of this Yoana jumpsuit – it is perfect for wearing on holiday or on off-duty days in the city. A bold raspberry hue with a wide-leg silhouette and a little flash of the ankle for summer. This jumpsuit offers the perfect balance of smart-casual. Details include an off-the-shoulder neckline, fitted waist and front-button fastening. For those who prefer a more fitted silhouette, try cinching the belt at your waist. This jumpsuit is perfect for warm summer evenings or as a holiday staple. The vertical stripes, wide legs and cinched waist will flatter your figure in all the right places, plus give you total 70’s glamour vibes. Previous Post EDINBURGH: Say hello to your newest spa destination.